Good afternoon lovely people. It's been a long time I know but my degree has been taking up a lot of my time recently. But I'm back for now. Today I wanted to talk to you a little bit about a product I picked up recently - the Sleek Face Form kit. I've wanted the contour kit for ages, but the shade light has always been out of stock so I picked up the next best thing which happens to be the Face Form Palette. It's exactly the same as the contour kit but it also has the Rose Gold blush too so you can completely shape your face. It costs £9.99 which I think is quite reasonable given that the products are quite generously sized. I think the biggest plus about this product is that it is so portable; it will be travelling with me to NYC (and hopefully Paris) for definite. Just to give you an idea of the size, it's smaller than the length of the palm of my hand.. and I have really tiny hands. The packaging is also quite chic considering it's essentially a 'drug store' brand. It's slick, matte black and so sturdy so I have no complaints at all. It also houses a nicely sized mirror too so you can even touch up on the go! You get a matte contour shade, a champagne highlighter and the Rose Gold blush. Contour shade - I'm going to admit this does look really dark in the pan, but luckily that darkness doesn't translate onto the skin. 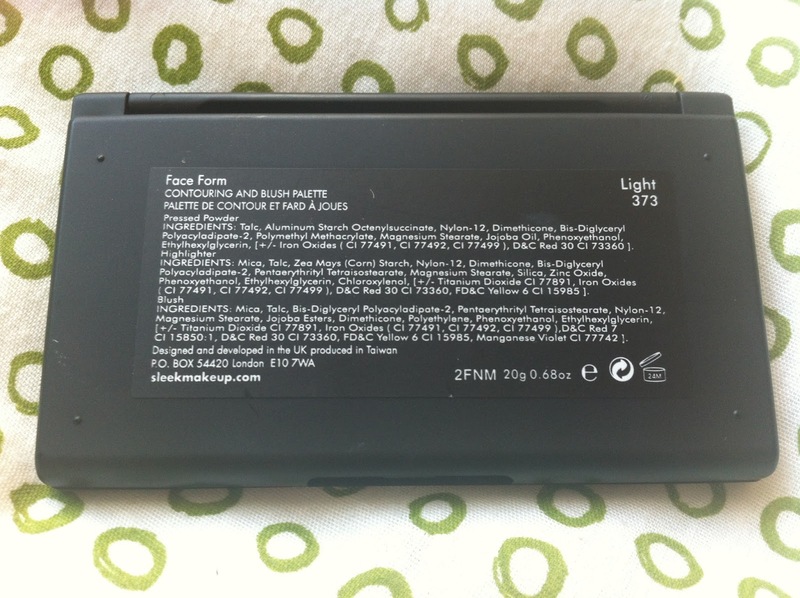 It provides a really subtle, natural contour on my fair skin and it really does look great. Highlighter - this is a really nice pale gold highlighter which looks lovely dusted on the tops of cheekbones and the bridge of the nose. 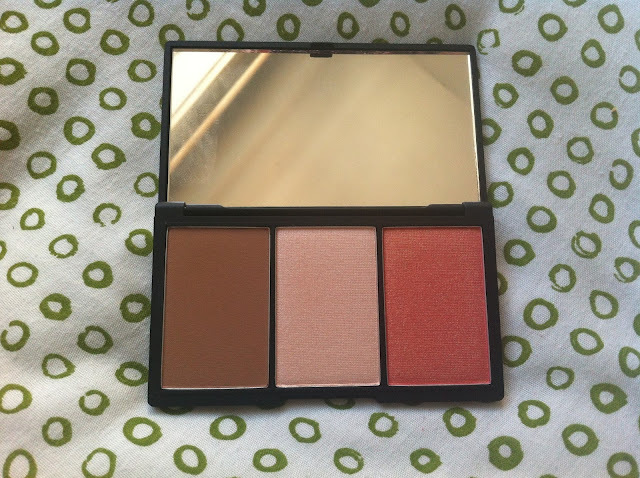 Rose Gold Blush - this is a really pretty peachy/corally/ goldy blush. As much as I want to like it, I'm really not sold as of yet. I don't know why but it looks really orangey on my skin. I would also approach this with caution as you only need the tiniest bit as it is so pigmented. Light hand ladies! The actual powders themselves are really smooth, pigmented and blendable which I love but they lack staying power. After an hour or so I find I can't really see it on my face anymore which is quite disappointing but I guess for the price I shouldn't really be complaining about having to reapply. Overall it's a nice little kit that is well worth shelling out for. You can find this at Sleek stands in Superdrug or can find it here This is my first foray into Sleek and I have to say I am impressed. 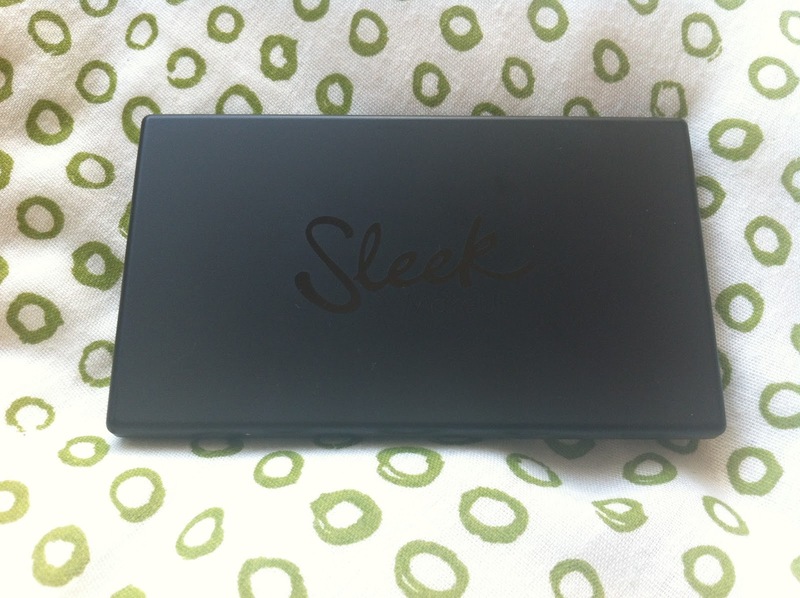 I'd love to know if you have any favourite Sleek products which I've got to try. Leave all your suggestions below! You can't eally beat their range, especially given the prices! There's a fair few things on my wish list but I'm being good!